Keane is the number one provider of SEC Rule 17Ad-17 compliance services to corporate and mutual fund transfer agents; and in light of the new Dodd-Frank requirements we are now assisting brokerage firms with this function. We have been at the forefront of the industry even before the requirement was first created in 1997, providing searches for millions of lost or “missing” shareholders. The Dodd-Frank Act of 2010 directed the SEC to modify Rule 17Ad-17 governing the treatment of missing security holders. As of January 2014, the Rule now applies to the Brokerage industry. Brokers/dealers are required to search for lost security holders using a process similar to the one that stock and mutual fund transfer agents have been required to follow for more than a decade. Conduct up to two database searches in an attempt to locate missing security holders. The first search must take place between 3 and 12 months of the account being coded as missing. The second search (if necessary) must be conducted between 6 and 12 months of the first. Exclude accounts if: a) the value is less than $25.00, b) the owner is deceased, or c) the owner is not a natural person (i.e. a corporation, trust, or partnership). Send first class mail to the newly located address to notify the security holder of the situation and to obtain his or her consent to update the account with the correct address. Dodd-Frank also proposed new rules that will change the way all paying agents handle uncashed checks. A “Paying agent” is defined as any issuer, transfer agent, broker, dealer, investment adviser, indenture trustee, custodian, or any other person that accepts payments from an issuer of securities and distributes payments to security holders. Security holders must be considered an “unresponsive payee” if a check sent to them remains uncashed for 6 months (or until the next regularly scheduled check is sent). Written notification regarding the “unresponsive payee” status must be provided to the security holder no later than 7 months after the check in question was originally sent. The notification may be sent along with a subsequent check or some other mailing, provided that the notice occurs within the seven month window. The notification requirements do not apply if the check is worth less than $25.  For more information on SEC Rule 17Ad-17, visit our Unclaimed Property Blog. If you still have questions or are interested in making sure your organization is SEC Rule 17Ad-17 Compliant, please contact us for additional information.